the top-seeded team. 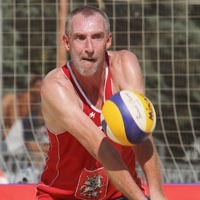 They played six FIVB events, with a best of fifth. In six CEV events together they advanced to four semifinals including one win. They ended the year with a ninth-place finish in the CEV European Championships. � In the 2008 Beijing Olympics Schuil qualified with Reinder Nummerdor as the fifth seed. The duo went 3-0 in pool play, then 1-1 in bracket play, placing fifth.